The Loire valley is littered with amazing historical monuments, buildings, chateaux and churches, private residences and ancient dwellings carved out of the legendary limestone. 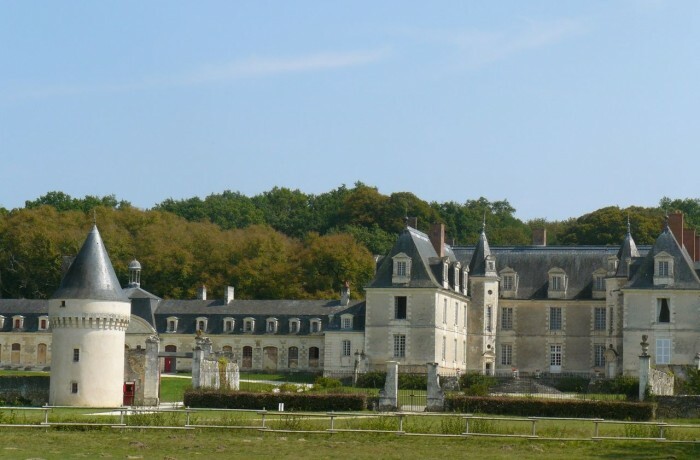 We all know the ‘big’ names – Villandry, Chenonceau, Azay le Rideau and Chambord, but there are hundreds of lesser known properties and estates, many of which remain inhabited by the owners, who open their doors to the public. 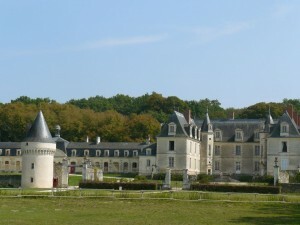 Chateau de Gizeux falls into this category. With a history dating back to the 14th century and illustrious owners such as the du Bellay family, the current family has resided on the estate since 1786. There are positives and negatives with these smaller chateaux. 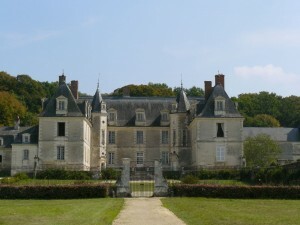 Often, as the owners still live on site, visits are by appointment only and then only in French. All well and good if you are a French speaker but longwinded and rather tiring if you are trailing behind with a couple of sheets of translated English that in no way include all the information given by the French guide. Best to visit these places when an event is taking place such as a Christmas Fair when you can wander freely and discover for yourself at your own pace. 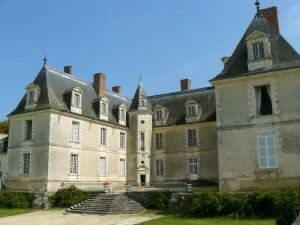 The Chateau in Brissac is a good example of this – one not to be missed but if you don’t speak French avoid the guided visit – it’s long and there is no opportunity for someone to translate for you as you go around. Gisieux provides audio-guides in a number of different languages. We opted for this rather than wait for a tour in French as we had a mixed group some of whom spoke good French and some who didn’t. Each point of interest in and around the chateau has a corresponding number that you can press for information. All in all it’s an interesting visit with an lively history but the thing that strikes you most of all is the obvious lack of money required to restore what would have been a truly remarkable chateau with a fascinating history. It makes your heart ache to see the restoration trials they have done on tiny patches of the old paintings that desperately need restoring. It could be amazing given the funds to carry on with the work. 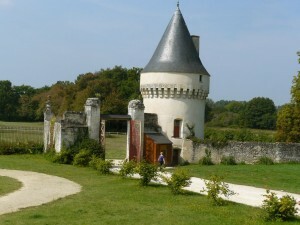 The main body of the chateau showing the 2 towers, one defensive and the other for guests. There used to be 2 towers like this in the past. Formerly owned by the du Bellay family. 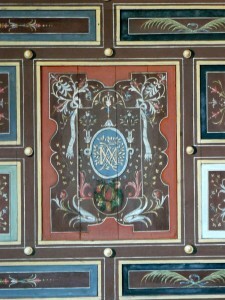 Paintings in the gallery were saved during the revolution. 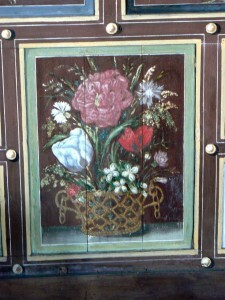 Tulips on the painting shows wealth and stature as they were rare and expensive. 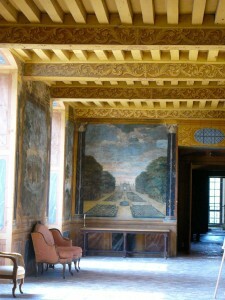 A lesson in perspective – the chateau was a painting school for young artisits.